Yeah I find I am so much more organised when my posts are scheduled, and tweets too! Sometimes I just feel like I am better at life when I work to a schedule, I have yet to reach the level of scheduled Tweets but I'm sure I'll get there! I seemed to have gotten a lot more visitors to my blog since I've started scheduling my posts & tweets. I kind of like the consistency too, as I got in this habit of trying to blog daily and I was totally drained by the first week! I think it's important to do what you feel more comfortable. I don't know about you but i'm stressed it is totally reflected in my writing! Definitely, I think people like when you work to a schedule and I always think it's a nice little thing to add into your routine if someone posts at a certain time. Yeah working full time and having other commitments it just isn't practical writing daily (unless you are a super serial scheduler) I agree it comes across when the writer is stressed or rushed. 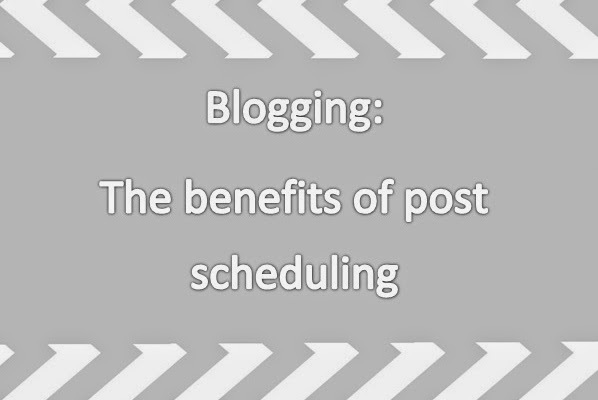 I'd read about scheduling a few times before I started blogging for myself, so I always a rough idea of what I should and shouldn't do.